The government of Cameroon has vehemently denied allegations that it has allowed its territory to be used as a training ground by terrorist groups and rebels destabilizing Nigeria and the Central African Republic. The denial comes after Nigeria closed parts of its border with Cameroon, saying that Islamic extremists were using the country as a base to launch attacks. Minister of Communication Issa Tchiroma Bakari says Cameroon is not hosting any terrorists from its unstable neighbors: Nigeria and the Central African Republic. "I hereby say loud and clear that Cameroon has never accepted, and will never accept, that its territory be used as a support operating base for enterprises of destabilization against other states," said Bakari. Cameroon has been a destination for thousands of desperate people seeking refuge from Boko Haram terrorist attacks in northern Nigeria and the sectarian violence in the CAR. 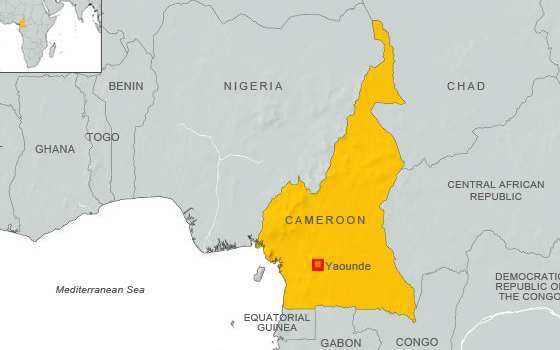 At the same time, Cameroonians living near in the border areas have reported an increase in armed groups invading towns and violence - despite Cameroon closing its borders with the CAR in August and soldiers being deployed to prevent any fighting. Last month, Nigeria closed hundreds of kilometers of its border with Cameroon, saying the move was to prevent Islamic extremists from using the country as a haven and launch pad for attacks. Communications Minister Bakari says the media is exaggerating the situation and Cameroon should not be blamed for its neighbors' problems. "Cameroon refuses to be used as a scapegoat by some entities that attempt to justify the difficulties that they face in their countries. Our country is ready to closely cooperate with defense and security forces of our neighboring countries to fight against terrorism and cross-border criminality, respectful of the sovereignty of each state," said Bakari. He said Cameroon's military is working to help its neighbors to halt illegal weapons trafficking in the region and to apprehend any militants or foreign soldiers violating Cameroon's sovereignty. Cameroon has also arrested various militants, including CAR rebel leader Abdoulaye Meskine in late 2013. The CAR descended into bloodletting and chaos after Seleka rebels toppled the government a year ago. Foreign military intervention has done little to quell the violence. Nigeria has been battling Boko Haram militants since 2009. Terrorist attacks -- mainly in the northeast -- have left several thousand dead.